Creating an infographic on tools like photoshop require good designing skills and knowledge. But what if I don’t know how to use Photoshop or How to create infographics using photoshop? Here are some of the best tools to create free infographics online. These tools are really awesome; these tools help you to create infographics for free and don’t require any designing skills and knowledge of any editing software. Only thing that you need is Internet connection and you can design infographics within few minutes. Infographics maker tools give you collection of free infographics templates and you can simply edit and modify them online according to your suitability & requirements. There are many online tools for creating infographics but I have tried to list one of the best tools here for you. Creating infographics with these tools is fun. Canva is the first choice for non-designers to creating eye catching infographics for free. 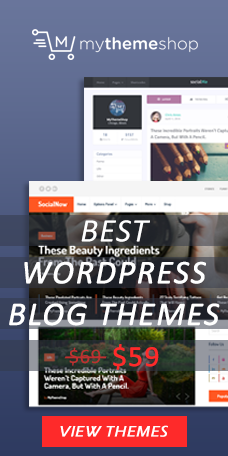 Canva gives you hundreds of pre-designed templates for blog graphics, social media, pinterest images, presentations, magazine, resume and many more. Editing infographic templates is really simple and quick. Select your template design and replace text & images with your text and that’s it your infographic or blog graphic image is ready to use or share online. First you need to create an account on Canva. Choose one graphic design template you want to use. Replace demo text with your original text & upload images if need to or you can use from over 1 million stock free images. Arrange images and align or format text accordingly. Save, Share & Download when all editing done. 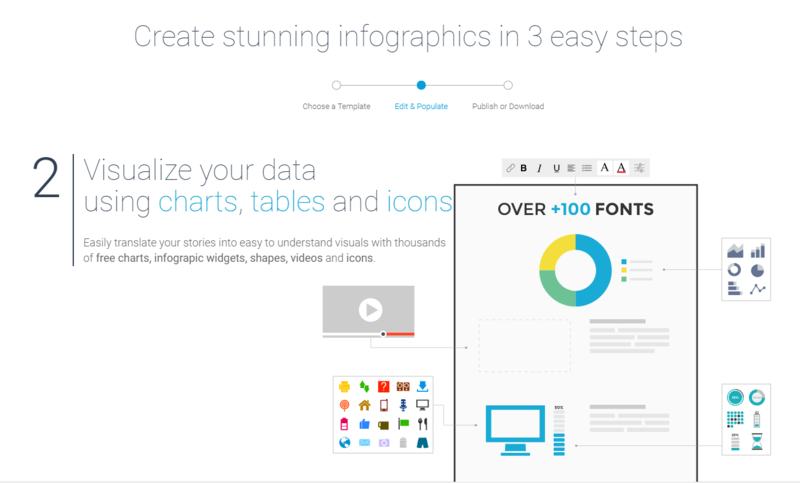 PicToChart is another very popular tool to create free infographics online. They have wide verity of infographic, presentation & printable graphic templates to offer free. Working on templates is simple too, drag & drop option available for adding new section or removing existing section from templates. PicToChart allow you to upload images & provide free collection of shapes, icons, background templates, text styles, color schemes, charts, maps & videos. You can add Youtube videos urls to add videos in presentation slides & Map of a specific country and region. Making data/progress charts is simple too. Create an account or if you have one then login. Choose infographic/presentation/printable template that suits your purpose. Edit template with your text, image and stats. And Save, Download & Share when it is ready. I personally found Venngage one of the best. They have beautiful collection of infographic templates for different categories and the designs are really cool. You get some of the best infographics templates for free here (take a look of free templates). There are templates available for reports, posters, promotional graphics and social media graphics. Create an account or login in if you have one. Choose your infographic template to edit. Make changes in template from editing area. And in last Save, Download & Share it. If you are looking to create infographic with stats then visme is the place for you. They have really cool infographics templates where you can show stats in the form of charts, graphs and comparison. You get good number of free infographics templates. They also have presentations, social media images & ad banners design templates. Add content in infographic template. 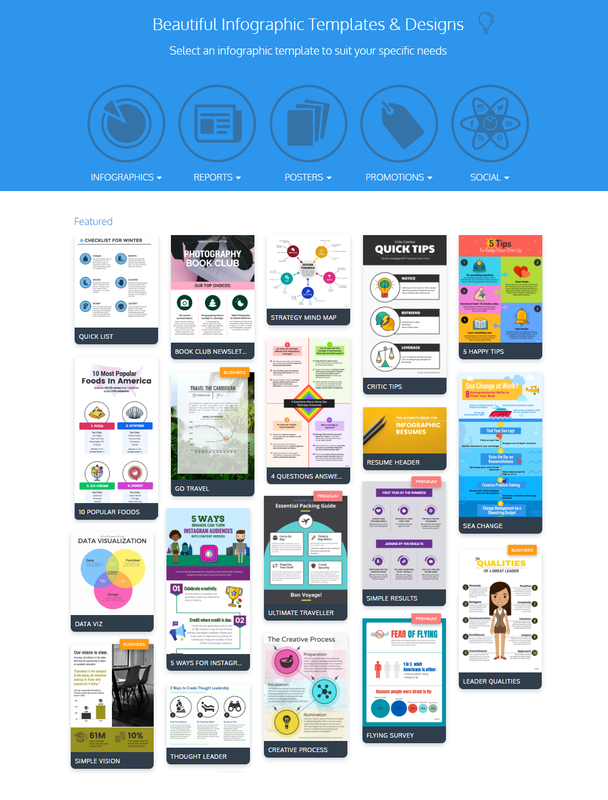 Get access to over 1000 of infographic templates with Easelly infographic maker. You get some amazing infographic templates for free here. Search your template with the suitable category and get started. Editing dashboard is simple you get everything that you need to make a beautiful infographic. Create your account, choose a template and start editing. You can save template in your account for further modification or use and can also download to use offline. And can share infographics directly on your social media profiles. Do you like creating your own custom infographic templates? If yes then your will defiantly going to like MindTheGraph Infographic Maker. MTG help you build your custom template really quick with its advanced features. This tool doesn’t allow you to use their infographic template in free account. If you want their templates you have to sign up for their premium account which cost 5USD/month. If you face any issue in getting started or working on Infogram tool you can check out their Video tutorials here for help. 4 Simple steps to make your first professional looking infographic. 1). Choose infographic size you want. 2). Now select infographic template that fits in your requirements. 3). Replace demo text, images, charts data, icons & shapes with your original. 4). Once you are done, Save, Download and Share. Design Wizard is online graphic design software that couldn’t have come at a better time. These days everyone needs impressive visual content – from social media posts to event flyers and business cards to blog images. Design Wizard is the perfect tool to create impressive designs without the need for technical expertise. Personalized – Our free features allow you to magically resize your designs. Upload your fonts, photos, logos and create custom colour palettes. 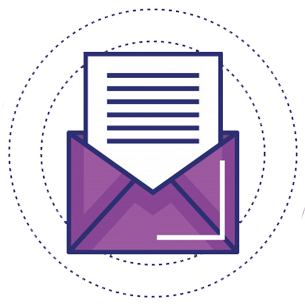 Design Wizard also integrates with Marketo and HubSpot for marketing automation and Buffer for social media content scheduling. Inspired – Our curated content will inspire you to make amazing designs. Explore our library of our 1.2 million images, illustrations and graphics which is created by our in-house creative team of over 50 people. Protected – We ensure that every image has been licensed for commercial use – protecting you from any copyright complications. Our catalogue of over 1.2 million images and approx. 20,000 templates offers exceptions value to Design Wizard customers. Our simple licensing model with no extra cost of extended use – complex one time use only licensing model of competition. Highly competitive pricing. 60 designs for only $9.99 – up to $600 for equivalent content from competitions. All features free to use – subscription of $9.99 for the same feature from competition. Exceptional, on trend content uploaded daily including images and templates produced in house.